I went into HR because I love to help people succeed. From helping to hire the right person, to supporting great performance, training people in new skills and solving any tricky issues that may arise, I really enjoy being a partner with business owners and leaders. Employing people is difficult and I love to help businesses manage it more effectively, to help them get through any difficult times with the least drama and to create a thriving business. In HR, no day is the same, there is challenge and variety, and you are always learning something - that’s why I do my job. With over 15 years in HR there are so many to choose from! Particularly having worked in so many different countries where cultural differences can be a great source of hilarity. One, which stands out, was when I was working for a company with an office in Germany. I went along to their Christmas party with the Head of Legal who had flown over from the USA and we were waiting for the evening’s entertainment to start, when the dancers came out on stage. It was only then we realised all them were drag queens performing a well-known Christmas show. As I say, you learn something new every day in HR! My husband and son make me laugh and help me to remember what really matters; my dog gets me out in the countryside around Marlborough, which is so beautiful you can’t help but forget your worries; and playing the violin, piano or guitar blows away any cobwebs that are left. 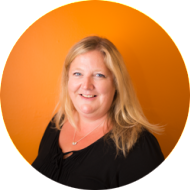 Sarah has great business partnering abilities, strong negotiation skills, solid employment law knowledge and an eye for talent. She was critical to the successful employee transfer and business integration of several acquisitions.